The IIT Joint Entrance Exam (JEE)-Advance scheduled to be held in the year 2013 would be conducted on the old pattern. There would be no changes in the pattern of the Physics, Chemistry and Maths paper. The exam would be held in two shifts. Both the papers would be three-hour long each. The questions would be objective in nature. 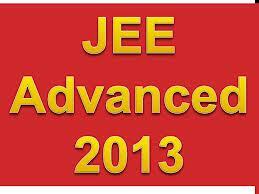 The JEE Advance will be conducted by IITs across the country on June 2. On September 23, an important meeting of Joint Admission Board (JAB) has been convened in New Delhi. This meeting would finalise and fix the date of holding JEE Advance exam, declaration of results, conducting counselling. The question papers would be printed in both Hindi and English. The questions would be based on Physics, Chemistry and Maths. The students who qualify the JEE Mains exam will only be eligible for filling the form of the JEE Advance exam. These forms would be filled off-line by the successful students. Out of scores of aspirants who will sit in the JEE Mains exam, only 1.50 lakh students would be screened for appearing in the JEE Advance exam. These students will be able to fill the form for the JEE Advance exam. The students clearing the JEE Advance exam will be getting a chance to seek admission in premier IITs including Kanpur, Mumbai, Roorkee, Guhawati, Delhi, Chennai, Kharagpur. On the other hand, the JEE Mains exam would be conducted by Central Board of Secondary Education (CBSE). This exam would be held in the month of April next year. The results of JEE Mains will be out in the month of May. After declaration of results, the forms of JEE Avance will be filled through off-line mode. The forms of JEE Mains will be filled both online and offline.